From its office in Castle Street, Liverpool the GPI underwriting team stands ready to provide a wide range of insurance solutions to trade associations, construction professionals, product manufacturers, brokers, warranty companies and insurance intermediaries. GPI’s primary product is Insurance Backed Guarantees (IBGs). This is the product upon which GPI was initially founded. We believe that GPI’s experience and knowledge in this field is unsurpassed in the UK. GPI underwrites IBGs for many different trade types and areas of industry. Both commercial and domestic sectors are catered for; with IBGs presently being written for glazing, roofing, waterproofing, damp and timber treatment, property renovations, ECO installations and renewable energy systems. GPI mainly utilises its wholly owned subsidiary on the administration, claims handling and fulfilment of these products. The purpose of an IBG is to provide insurance backing to a written workmanship and/or material guarantee, given by a building contractor to a domestic or commercial customer (the owner of the insured works). Such written guarantees may be given in good faith, by well-meaning contractors; however, even the most prudent and financially solvent contractors are unable to guarantee their solvency -in these volatile times- to the extent that they will be able to rectify defects for the lifetime of those guarantees. As such, responsible contractors, trade associations and competent person schemes across the UK insist that customers are provided with an IBG in order to ensure that recourse to the guarantee is possible, even in the event that the original contractor has ceased to trade. GPI underwrites IBGs for many different trade types and areas of industry. Both commercial and domestic sectors are catered for; with IBGs presently being written for glazing, roofing, waterproofing, timber treatment, property renovations, ECO installations and renewable energy systems. IBG Policy for Rising Damp contracts – this includes chemical injection, electro osmosis and vertical damproofing. Designed to provide cover in the event that the insured remedial works fail, during the period of insurance, and the contractor has ceased to trade and is unable to honour claims on the written guarantee. IBG Policy for Japanese Knotweed treatment contracts – this includes herbicide, screening/sifting, rhizome fragmentation, bund/stockpiling, excavation and removal to landfill, root barrier – vertical and burial/cell formation. An insurance specifically for Japanese Knotweed treatment contracts involving herbicide treatment. Designed to provide cover in the event that the original contractor has ceased to trade and is either unable to complete the management plan for the treatment and monitoring of Japanese Knotweed that was agreed with them or if they are unable to honour their written guarantee should there be a re-growth of Japanese Knotweed after successful completion of a management plan. An insurance backed guarantee specifically for Japanese Knotweed eradication contracts. Designed to provide cover in the event that the original contractor has ceased to trade and is unable to honour their written guarantee should there be a re-growth of Japanese Knotweed after successful completion of a management plan. If you are looking for a PCA contractor, click here. If you are a Non-PCA contractor and are looking for further information, click here. 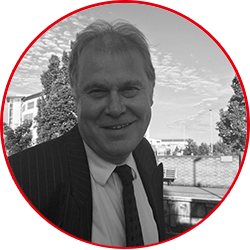 Jeremy has 30 years Business and Financial experience in various roles across a range of UK & European Financial Services, Fund Management and Commercial businesses. Currently Jeremy holds complementary Board roles in a Bank, Wealth Management Business, as well as working with Public Bodies and Agencies. Jeremy is a Chartered Director (Institute of Directors) and a Chartered Associate with the Institute of Financial Services, and holds an MBA from Sheffield Business School. Prior to focussing on Governance and Non Executive roles, Jeremy was previously CEO at a £1 Billion UK investment manager. 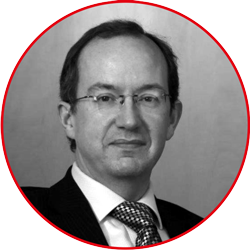 Paul is a Chartered Insurance Practitioner with longstanding experience in all aspects of insurance and reinsurance ranging from Global Programmes for Multinational Corporations from all around the Globe to motor insurance policies for the man on the high street. 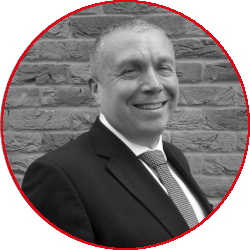 Paul has worked with Norwich Union & Swiss Re and after periods working for Aon and HSBC Insurance Management in 2012 switched roles to focus on Non-Executive positions for both domestic insurance operations and insurance subsidiaries of major corporations. Paul is the Chairman of the Audit and Risk Committee. Andy joined the group in the summer of 2018 as Group CEO, bringing with him over twenty years’ experience within the insurance industry in various senior financial and CEO roles. His previous role was CEO of Sompo Europe, a Japanese general insurer where he spent 6 years. Prior to this, Andy’s experience includes senior finance roles within the Lloyds of London insurance market and at AXA. Andy is a qualified accountant. Carol brings significant experience to the Board, having been appointed Interim Chief Finance Officer in July 2018. 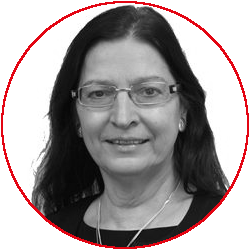 Carol has board level experience in the capacity of both an executive and non-executive Director; having financial and risk experience gained in both interim and permanent positions at firms such as One Family, Engage Mutual, Royal Liver, HBOS Business Banking and Marsden Building Society. Carol is both a qualified accountant and a qualified tax advisor. We also have a highly trained and efficient administration staff supporting the directors and dealing with the day to day running of the business. Registered In England under Company Registration Number 03326800. Guarantee Protection Insurance Ltd is authorised by the Prudential Regulation Authority and regulated by the Financial Conduct Authority and the Prudential Regulation Authority. This information can be verified on the Financial Services Register. Guarantee Protection Insurance Ltd’s Firm Reference Number is 207658.